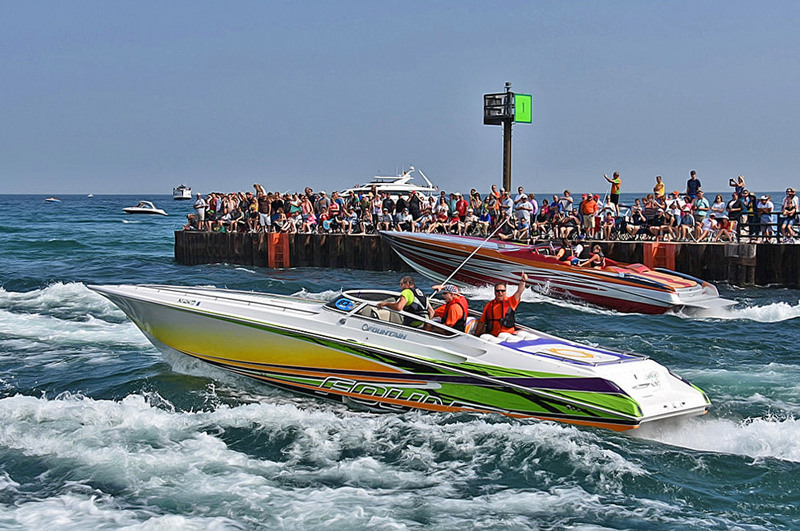 Charlevoix Township has a wide variety of recreational facilities for various uses contained within its borders, nearby in the city of Charlevoix, and in surrounding townships and locations. 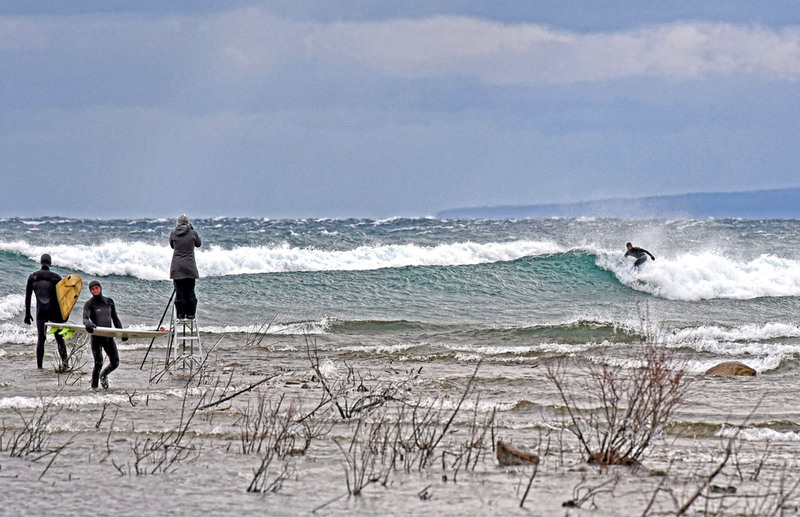 Over 1/3 of the land acreage in Charlevoix Township (including city parcels) is dedicated to publicly managed and maintained facilities where recreation occurs or is available on a regular basis. This does not include natural woodlands, wetlands or other “wild” areas. 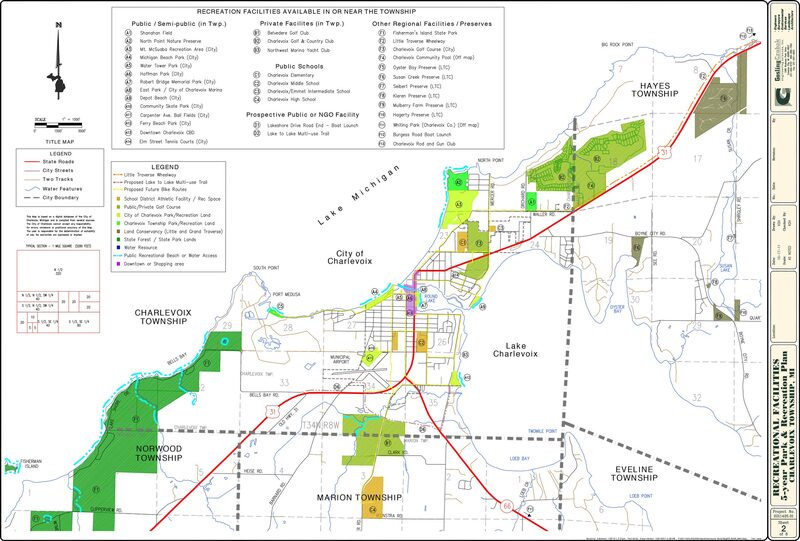 Golf courses, local parks, public school grounds, and other public facilities comprise approximately 13% of the total land area in the township. Another approximately 11%, over 417 acres is contained in Fisherman’s Island State Park on the southwestern shoreline of the township. 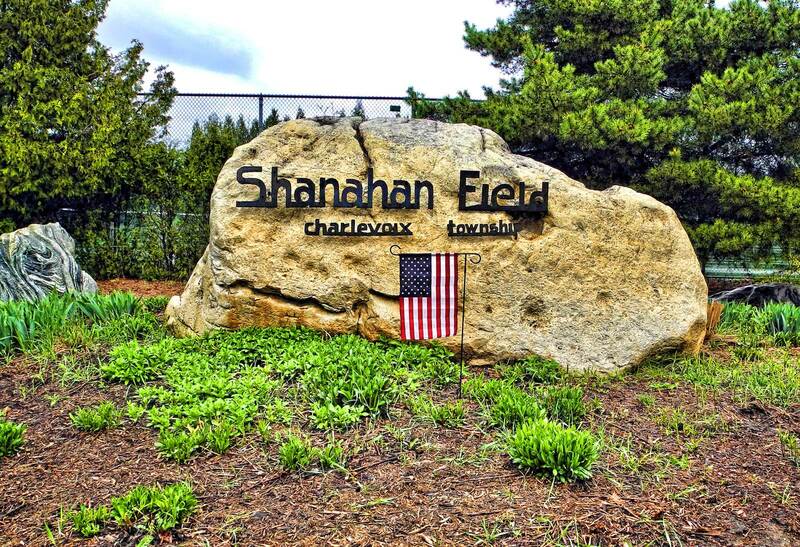 Shanahan Field which includes soccer fields, a baseball field, tennis courts, playgrounds, picnic areas and a pavilion. 16.9 acres total. Sand beach access at the end of Mt. McSauba Rd. groups, government organizations, and others. Managed by the City of Charlevoix, Mt. 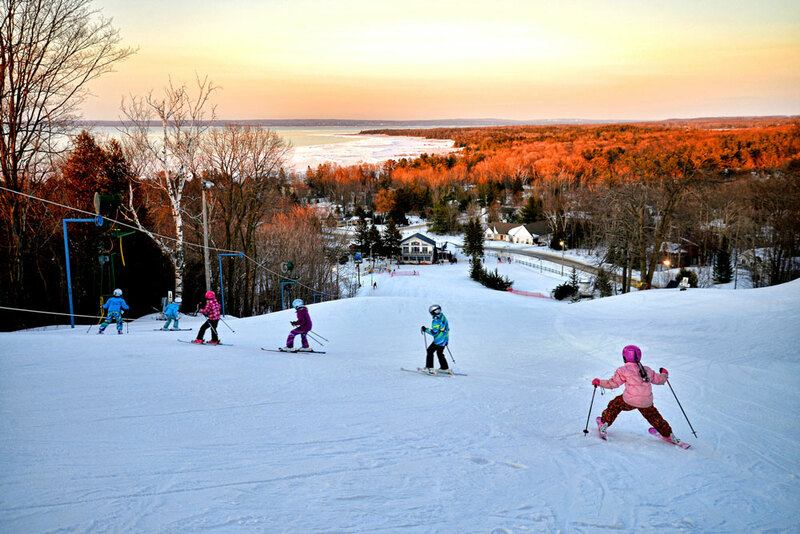 McSauba offers one of the few municipal ski facilities left in Michigan. Perfect for beginners or intermediate skiers. Amenities and features include Skiing, Snowboarding, Terrain Park, Skating Rink, Sledding Hill, Snowshoeing, Cross Country Ski Trails, Rental Equipment and a Snack Bar. Group and private lessons are available. The view from atop Mt. McSauba is spectacular. During the summer, the city offers a day camp for children ages five and up. An 18 hole disc golf course is under development in the coming years. This 2,678 acre park consists of rolling dunes covered with a variety of trees. 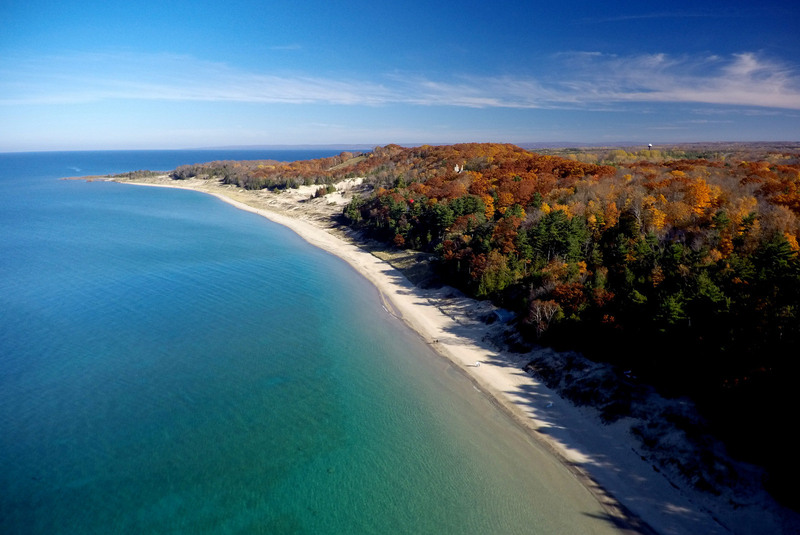 Over six miles of unspoiled Lake Michigan shoreline, with 80 rustic campsites in a variety of settings. Three miles of hiking and cross-country ski trails make for multi-season use. A public swimming beach is located near a designated picnic area inside the park. 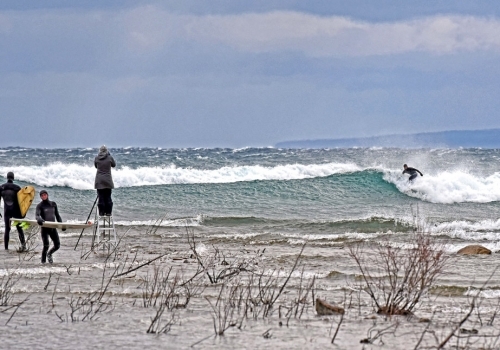 This 26 mile, paved, non-motorized trail extends from the edge of Charlevoix Township around the bay to Harbor Springs through a variety of scenic settings including wetlands boardwalks, roadside parks, rocky shorelines, and more civilized settings. Trail users may bike, skate, ski, walk or run on the trail. Snowmobiles and horses not permitted. In Charlevoix, the trailhead is located at the Charlevoix Township Hall at 12491 Waller Rd. Parking and restroom facilities available. This 9-hole, par 3 course is located near a central position of the city. It is maintained and administered by the city. Recreational, fitness, water safety, and educational activities for all age groups. A joint effort of the City of Charlevoix, Hayes, and Charlevoix Townships. Wide, sandy beach staffed by lifeguards, walking paths, playground equipment, pavilion, restrooms, and seasonal concession. 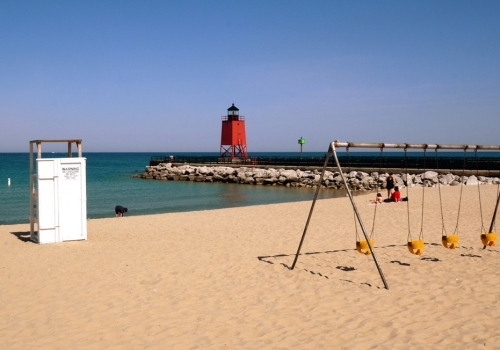 Park is adjacent to the Lighthouse south pier head at 95 Grant St., Charlevoix, MI. 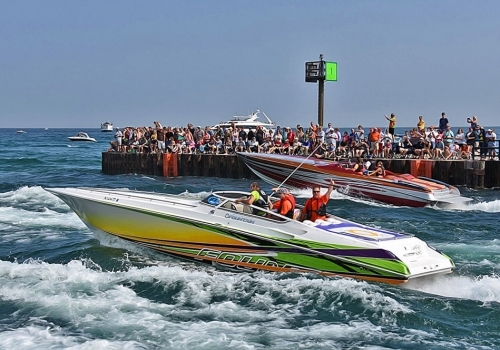 The city marina downtown offers a huge list of amenities to local and visiting boating enthusiasts. 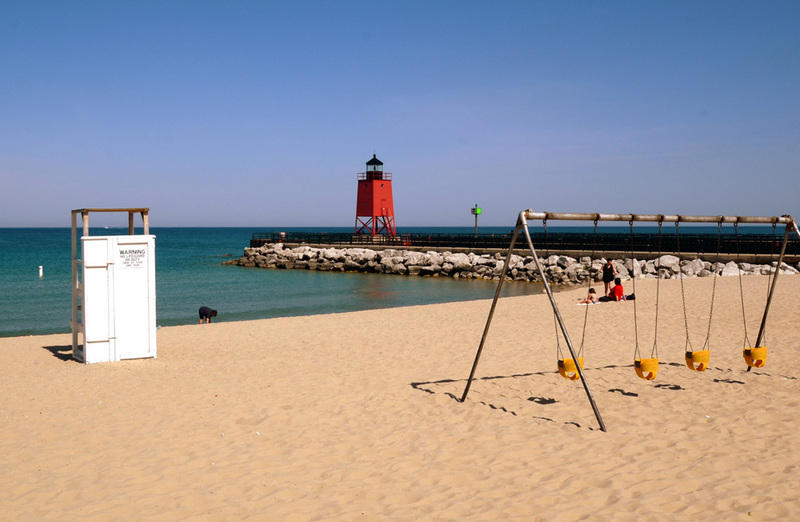 Located on Lake Charlevoix, Depot Beach offers a pavilion, picnic areas, playground equipment, and more in addition to beach facilities. These two amenities offer a variety of summer entertainment and are located across from each other on Carpenter Avenue. Skate park features skateboarding and BMX facilities and safety equipment rental. Ball fields have 3 softball and 1 baseball field with summer league play. Restrooms and paved parking lots on site. Features swimming beaches, horse shoes, volleyball, basketball, playground equipment, pavilions, concession and more. Four hard courts are available to the public near the Golf Course.